Those who know me well, know enough not to ask. During my twenty-plus years as a congregational rabbi/activist, I’ve often worked alongside AFSC staff and progressive Quakers, particularly on the issue of Mideast peace and justice. I’ve cultivated a wonderful ongoing relationship with the Friends Meeting in my hometown of Evanston and have spoken there on more than one occasion. During the course of my travels throughout the peace and justice activist community in Chicago and beyond, I can say without hesitation that some of my best friends have been Friends. For those who do ask, I explain that while AFSC is a Quaker organization, it is wonderfully multi-faith in its composition. I’m certainly not the first Jew to work for AFSC (nor am I even the first rabbi – my friend and colleague Rabbi Lynn Gottlieb served as Co-Director of AFSC’s Middle East Program in San Francisco from 2007 to 2009). Since the announcement of my hiring, in fact, I’ve heard from increasing numbers of Jewish friends and colleagues who have told me of their involvement in AFSC in various capacities over the years. Of course this connection is more than merely anecdotal; there are in fact important historical affinities between Quakers and Jews. During the course of the 20th and 21st centuries, our respective communities have been proportionally well represented in progressive movements of social change, particularly in the American civil rights and anti-war movements. 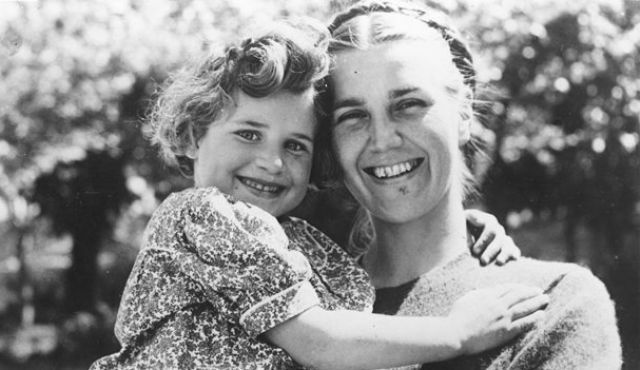 Our faith communities are also historically linked by the heroic efforts of Quakers and the AFSC to help save thousands of European Jews during the Holocaust and to provide relief for scores of Jewish refugees in the war’s aftermath. In more recent years, it would be fair to say that the Quaker-Jewish connection has become somewhat fractured over the Israel-Palestine issue. 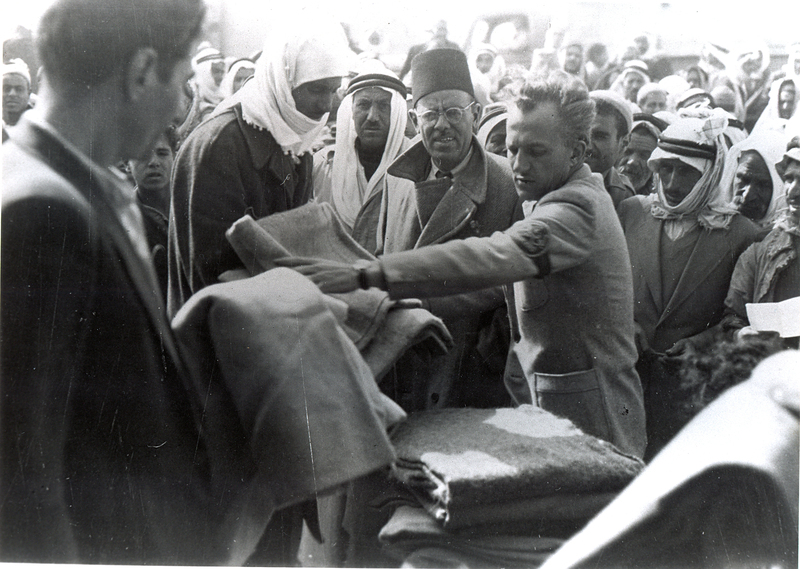 While this subject deserves consideration in another blog post, I will only say for now that I have long been dismayed at the hypocrisy of those in my community who applaud the Quakers’ work on behalf of Jewish refugees, yet bitterly criticize them for applying the very same values and efforts on behalf of Palestinian refugees. I would add as well that there are increasing numbers of Jews like myself who reject the nationalism/militarism of Zionism in favor of a Jewish vision that promotes peace with justice and full rights for all who live in the land. 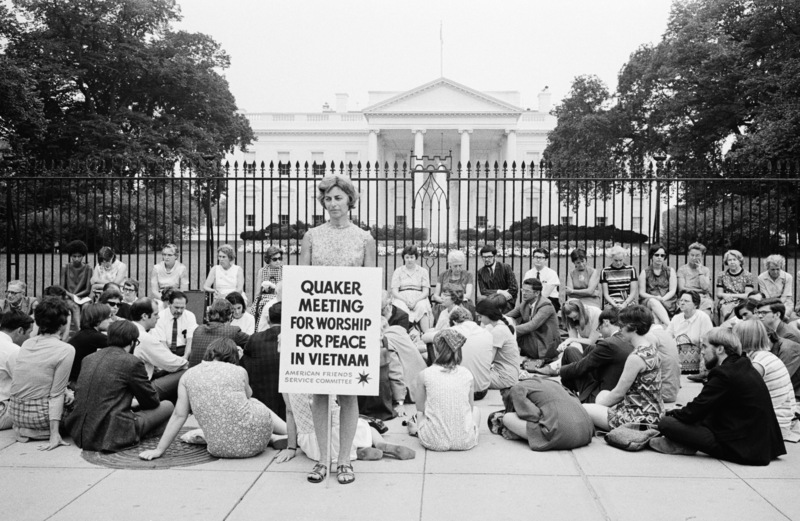 I do believe that this trend is providing an important new place of connection between Jews and Quakers – particularly among a younger generation of activists and organizers. Beyond these historical connections, I’ve become increasingly interested in exploring a different form of Quaker-Jewish encounter: namely, the deeper spiritual commonalities between our respective faith traditions themselves. I do believe that this Jewish-Quaker connection transcends simple political affinity. In this regard, I’ve been particularly struck by Jews who identify deeply with the Jewish people and Jewish tradition while at the same time unabashedly embrace Quaker practice and spirituality. For both Quakerism and Judaism, God is directly accessible to the seeker, without need for priests or other intermediaries. God appears in the faces of our community and in the wonders of our natural world. As a Jew who also finds a comfortable spiritual home in the Quaker community, I’m encouraged and excited by these kinds of connections. In our increasingly multi-faith 21st century, I firmly believe it is time to seek out those places where we might lift up and celebrate our spiritual commonalities rather than simply fall back upon a religious tribalism for its own sake. As I think more about potential areas of further Jewish – Quaker encounter, I am particularly intrigued by the parallels between Quaker Testimonies and Jewish religious values. Indeed, when I first read AFSC’s booklet “An Introduction to Quaker Testimonies,” I was immediately struck by a myriad of connections – causing me to think more deeply about the similar ways these ideals have been understood and acted upon in unique ways by our respective faith traditions. To what extent do these testimonies/values reflect the unique experiences of our respective faith communities? What is ultimately more important: the uniqueness of our paths or our shared vision of universal peace and justice? And how might we find the wherewithal, despite our differences, to travel this road together? This entry was posted in American Friends Service Committee, American Jewish Community, Civil Rights, Holocaust, Human Rights, Interfaith, Israel, Judaism, Nakba, Nonviolence, Palestine, Quakerism, Religion, Spirituality, War on January 28, 2015 by Rabbi Brant Rosen.